BeyondName...: Shiva - Tat Tvam Asi! Shiva - Tat Tvam Asi! Whatever work I do, all that is your worship, O Shambho! Shiva pervades the entire Universe. Shiva is the eternal tattva (principle) that is the essence of everything. It is the principle from which everything has come, in which all is sustained and in which everything dissolves. IT is said that the entire creation is the ‘Dance of Shiva – The Tandava’; a dance believed to be the source of the cycle of creation, preservation and destruction. Nataraja – the dancing form of Shiva, is a fascinating symbol of the interplay between the material and the spiritual realms of creation. It reminds us that the manifold forms in the world are not fundamental, but illusory and ever-changing. Modern physics has shown that the rhythm of creation and destruction is not only manifest in the turn of the seasons and in the birth and death of all living creatures, but is also the very essence of inorganic matter. 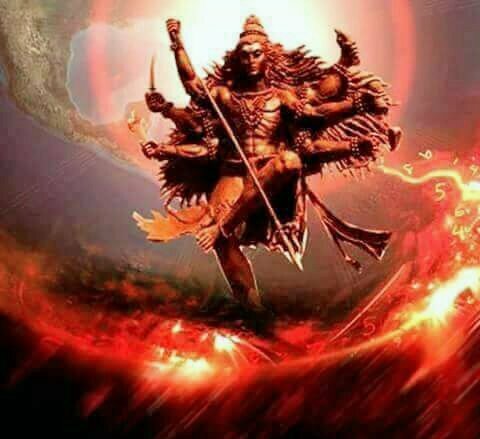 Shiva is, shanta – which is quite, advait – which is non-dual, chaturth – which is the fourth state – “Shiva avastha’ the auspicious state; the atma – the source / soul, and that is what you are! Shiva stands for benevolence or that which blesses without any preconditions. Shiva is the most innocent and only believes in the essence of truth, beauty & self! He can easily be pleased with the smallest penance; hence he is also called ‘Bholanath’! The consciousness which is bliss and innocence, the consciousness which is the bestower of dispassion - is Shiva. The whole world is moving in an auspicious rhythm of innocence and intelligence - that is Shiva. #Mahashivaratri is believed to be the day when the Shiva tattva touches the earth! The divinity that is hovering a little above the earth actually comes and touches the earth on the day of Mahashivratri. It is this union of the material with the spiritual that is celebrated on Maha Shivaratri! For us, seekers it is the most conducive time for spiritual practices. 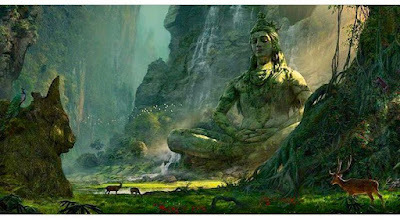 Meditating / Resting in the ‘Shiva Tatva’ in you is the best way to celebrate Shivratri!